Recipes, themes, decorations, costumes: Eveything needed to create fun and memorable tea parties for your favorite prince or princess. 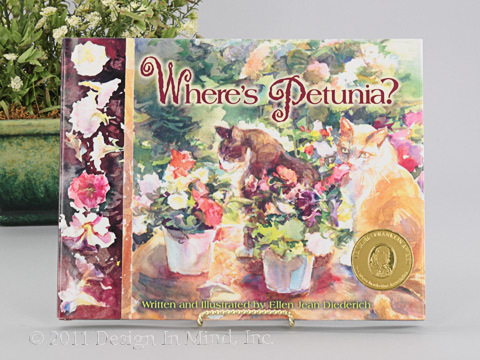 Where's Petunia by Ellen Jean Diederich. The cats, Art and Petunia, beckon readers to share a game of hide and seek among the flowerbeds and animal pens. For a cat playing hide and seek, where is the best place to hide? Find out as you learn the names of beautiful flowers along with an appreciation of a garden's enchantment. Discover the animals that Ellen Jean Diederich has woven into the flowerbeds. In the back of the book is a photo guide to help readers identify flowers. Illustrated by Ellen Jean Diederich. 32 pages. 9 " x 11.5". Hardcover. Pink Princess Cupcakes by Barbara Beery. Pink Princess Cupcakes offers creative ideas for the perfect princess-themed dessert, including Fairy Princess Hat, Glass Slipper, Sunshine Princess, and Kiss Me Cupcakes. The delicious recipes with adorable decorations are perfect for birthday parties, sleepovers, or any day of the week. Enchantingly good, deliciously fun! 7" x 8.75", 64 pages, hardcover. 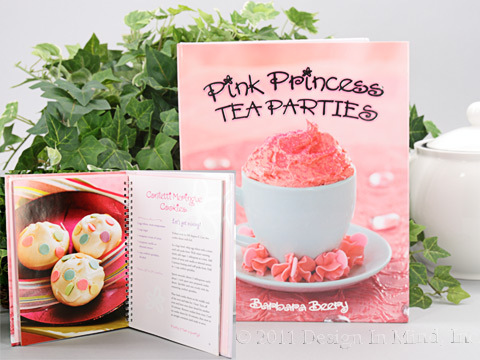 Pink Princess Tea Parties by Barbara Beery. It's teatime! 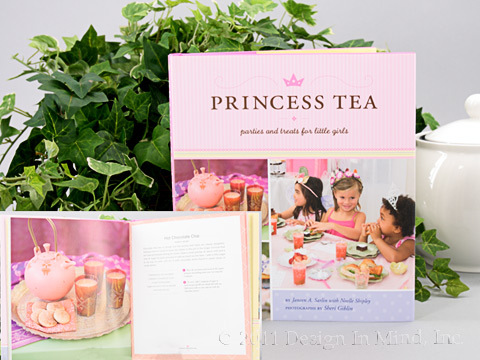 Whether for a tea party, a birthday party, or an afternoon treat, little girls will love the recipes in Pink Princess Tea Parties. 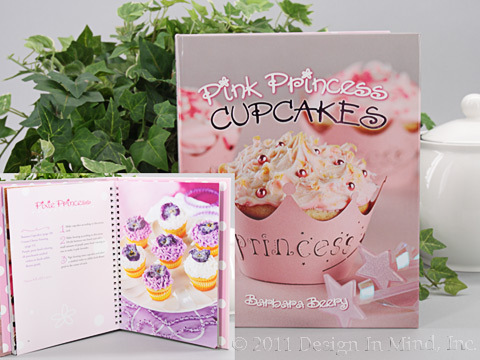 With charming full-color photography for each recipe, this book is sure to delight the little princess in all of us! 7" x 8.75", 64 pages, hardcover. Princess Matching Game by Brigette Barrager. Match the pretty princesses, each named after a flower! 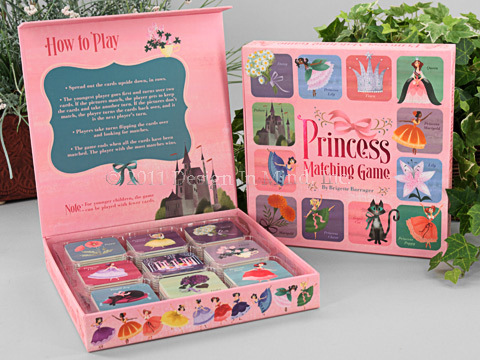 This classic matching game features the lovely princesses from her picture book, The Twelve Dancing Princesses, along with their royal friends. A wonderful way to develop memory, concentration, and matching skills. 72 cards. For 1 or more players. Ages 3 and up. Princess Tea by Janeen A. Sarlin with Noelle Shipley. Throw a sparkly tea party for the special little princess in your life. Enchant her. Transport her to faraway lands. It's simple and fun with Princess Tea! Quick and pretty crafts, costumes, and decorations are made from easy-to-find supplies. Games, dances, dainty tea treats, tiny sandwiches, and bite-sized sweets delight a roomful of pint-sized royalty. 8 princess-themed chapters complete with beverage suggestions, costume suggestions, craft/activity and complete recipes. Wonderful photography by Sheri Giblin. 8 1/4" x 7 1/4", 120 pages, hardcover. Fairy Parties by Colleen Mullaney. What little girl doesn't love dress up, sweet treats, glitter, and games? 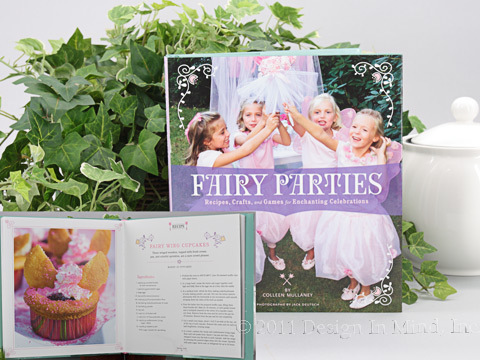 In Fairy Parties, you'll find magical party themes, simple food recipes, easy-to-follow craft projects, games, and imaginative costumes to create a captivating celebration. Five themed chapters include: Fairy Sweet, Sugarplum Fairies, Rainbow Flower Fairies, Fairies Rock, and Woodland Fairies. Complete with chapters on fairy crafts & setting the scene, fairy games, resources and fairy music. Photographs by Jack Deutsch. 8 1/4" x 7 1/4", 144 pages, hardcover.